When I see something like this in the States. Then I'll show some respect. But anyway my point is just that I do not personally claim to know the truth on this particular issue but it is not just something to call crazy Glen Beck stuff if it has gotten this much attention. Vieiras' "facts" were completely wrong and he lied about many things. I just went through the 'fact check list". I for one would like to see Vieira's response to those issues in the fact check list. In general someone saying you are wrong should not be the end of things. The accused deserve the right to respond don't you think? I've noticed multiple times now your use of the word 'lied' seems inappropriate to me (unless you claim he consciously knows what he is presenting is false which would be a more serious accusation than just being wrong or overzealous). I In general someone saying you are wrong should not be the end of things. The accused deserve the right to respond don't you think? Facts Papa, that's what I know facts. He didn't respond because he knew his facts were wrong. You can't carbon date stone, the Adena used waddle and daub not sod bricks and no giant skeletons have ever been found. Ever. I've been on hundreds of sites, examined thousands of artifacts and skeletons. read hundreds of reports. The only "theories" I ever toyed with was the Younger Dryas Impact. I was out to prove it and become famous. I helped disprove it. Then I toyed with the Solutrean Theory, but genetics completely disproved it. He didn't respond because he knew his facts were wrong. How do you know he didn't or wouldn't respond? And how do you know he acknowledges his facts are wrong? That's the problem I have with your reasoning. Inquiring minds would want to hear his responses (both sides). I would like to read his responses too. But from the looks of his record he's never been on a Adena-Middlesex dig. Most digs depend on volunteers and college students. You would think he would go to one if he was so interested. Another thing I did help prove was the Adena "Skinwalker-Nightwalker" Society was the origins for the Nanticoke-Lenape one and that the Kentucky "Wolfman" skeleton was real. I helped find 2 more skeletons with the modified jaws. You have a way of changing the subject to certain details after I point out your general overstatements. So you don’t know if he defended himself. So you don’t have any evidence that he consciously lied. Those were my points. He stated a lot of things that weren't facts. Whether he did it on purpose or was repeating others. I don't know. I just know they weren't true. Um, "Spirit Science"? Really? Delete this and watch from Swedish TV. Trying to force me to watch Swedish TV, you're mean. I'm gonna report you to the moderators........... oh wait. Personally I prefer to side with those who can present evidence to back up their assertions, regardsless what group they belong to. If a maverick can present adequate evidence I will gladly support them, as I care if things are true, not who presents them. You on the other appear to be more concerned with what you want to be true, rather than what is demonstrably true. I'll report him too, I was Sweden for a weekend, the atrociousness of it's TV has haunted me ever since. Oh wait, now I know what you said oh wait. Now that’s a better way of putting it whether or not your views are ultimately the only valid views out there. My problem started when you called him a ‘liar’ and that he doesn’t defend himself. You do realize the term ‘adequate evodence’ can only be subjectively judged and it gets complicated quickly. Also there are ‘suggestive/anamolous evidence’ that can’t be dismissed just because they are outside the mainstream paradigm. A serious yet funny anamolous quote I like is: ‘If we ignore the evidence that doesn’t fit, all the evidence fits nicely’. Are you off the opinion that it's ok for someone to give there opinion as fact, or specifically true, from a perch of authority and when asked to backup these opinions apparently shies away? Academically that's basically admitting lies. What is your theory on how ancient Hebrew was claimed to be found in the Newark earthworks? Christians venerate the 10 Commandments. To the Jews, the 10 Commandments are the chapter titles of the book of laws... there are 613 Commandments. They have no special regard for the 10 Commandments. Any time you see "ancient Jewish" and "10 Commandments" you know it's a fraud. The menorah... absolutely. 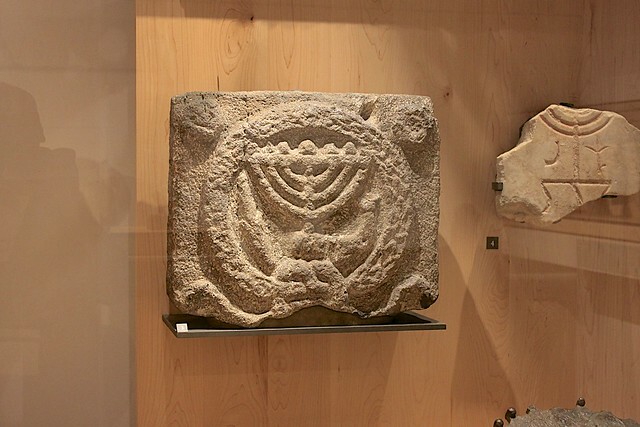 Genuine symbol of the Jewish people dating from the time of the Maccabees (but not before). As a culture there are a number of other representations that show up wherever the ancient Hebrews lived -- Seal of Solomon (or other powers), lions, etc... that's all authentic. But no genuine ancient artifact from the Jewish people has the 10 Commandments on it. That just wasn't a "thing" for them. I knew this guy was stupid, but this is a rare and very special sort of stupid only found in the U.S. It even have a scientific name. It's called Amerasininitis. Oh my, where did you dredge up that highly oxidized little nugget? Why are you so mean to me ? I've been a good boy. If you continue I'm telling my mum ! You trying to torture the guy Piney? 1) This is one of your vacuous generalizations that is not at all necessarily correct. An example would be the comments by Vieira regarding Cahokia. This site area has been the subject of intense and ongoing investigation for many decades. The results of these investigations have resulted in hundreds of thousands if not millions of quantifiable data points that directly contradict Vieira's statement. Hardly subjective. Not really, good solid evidence is a result of a process whereby anyone willing to do so with an open mind and no prior bias can repeat the process and reach the same conclusions. That, for example, is where the Ancient Astronaut people fall down, they show evidence that other people can attribute with the same level of possibility and as the result of the same train of thought to aliens where others say man. That is too vague a statement. Everybody says those things about the other side and the truth is more complicated in about every case and requires us to do homework. And usually it involves too a discussion of what 'exactly' was said in what context, etc.. Of course nobody should state their opinions as facts without the qualifiers and perhaps clarification that they are stating a theory (and not yet fact). 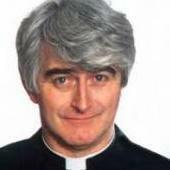 As for the 'shies away' part if we are talking about Jim Vieira, there is no sign that he won't address any question. You should ask Vieira those questions, not me. I tend to think he can defend himself pretty well.